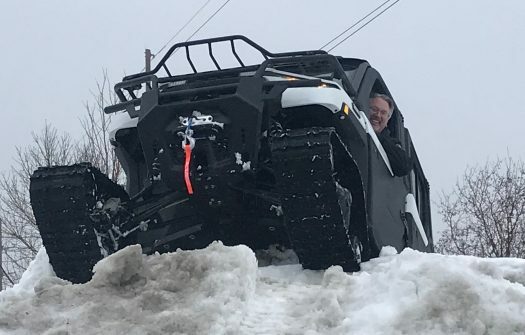 Check out our new demo vehicle – a 2019 Polaris Ranger North Star Edition. Testing out the newly installed tracks on the snow pile in front of the shop. 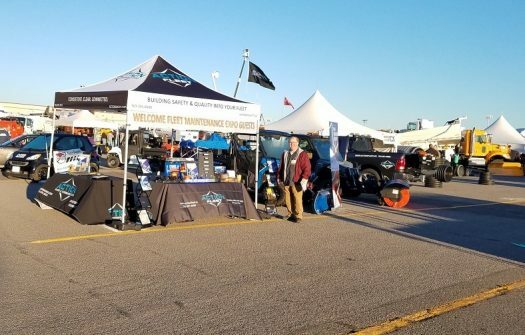 Come and see us at the 2018 Minnesota Fall Maintenance Expo in St.Cloud, October 3rd and 4th from 7 AM to 2 PM. We will be at Booth 36 outdoors. Stop out and see Greg, John, Josh and Andrew and see the latest in amber lighting, truck accessories, two-way radios and Harris P25. We work on them all, big or small! Recent jobs at Action Fleet. Installed lights in the grille and headache rack for Northern Dewatering on a brand new Kenworth. Also did some radio work for Xcel Energy. 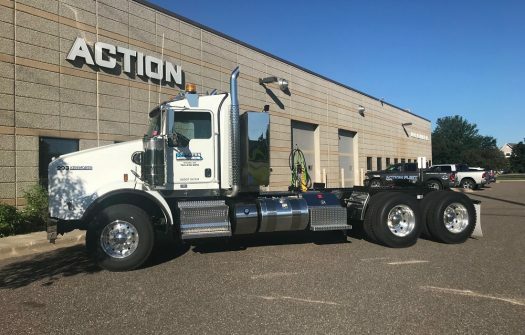 Our shop is large enough to get any semi, dump truck or anything large inside. 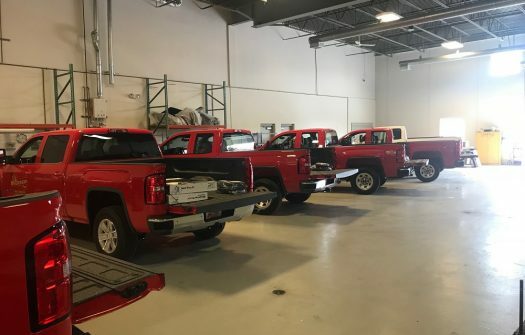 Just some of the new trucks for C.S. McCrossan upfitted with Tiger Tough seat covers, Weatherguard boxes and WeatherTech floor liners, Fil Rite fuel transfer tanks and pumps. 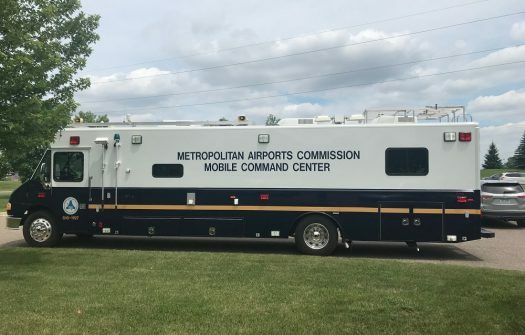 Worked on the Mobile Command Center for the Metropolitan Airports Commission today. 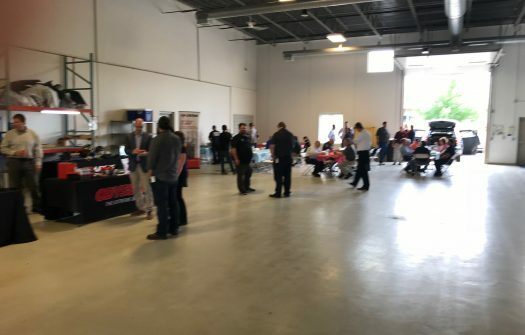 The 2018 Action Fleet and Action Radio Open House was a success. We had more than 100 people and had 13 vendors in attendance. A big thank you for all who attended. Vendors included Polaris, Federal Signal, Havis, ECCO, Code 3, Odyssey, Getac, Star, GoJotto, Harris and Icom. Just completed. 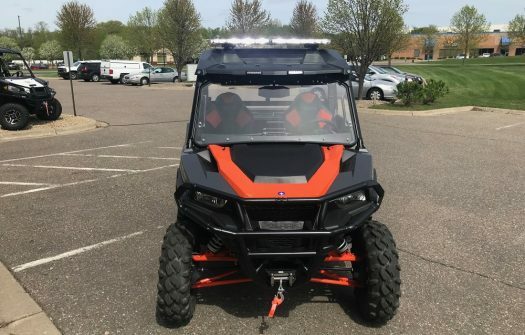 A 2018 Polaris General complete with Federal Signal lighting. Features the new Allegiant light bar, Micropulse surface mount lights and Corner led inserts. This is a demo vehicle for the Federal Signal rep from the Reese Company in Somerset, WI. Below are some videos showing different patterns on the Federal Signal Allegiant light bar. 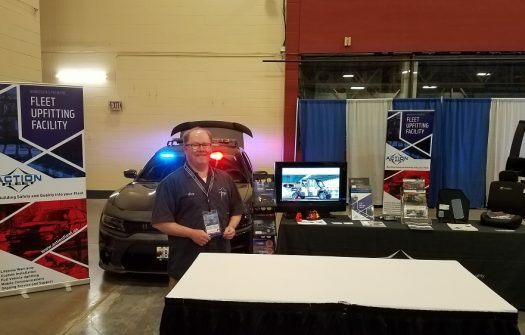 Action Fleet was at the 2018 Law Enforcement Expo – Chief’s of Police show – at the Duluth Entertainment Convention Center in Duluth, MN. It was great to meet and talk to all that stopped by our booth. 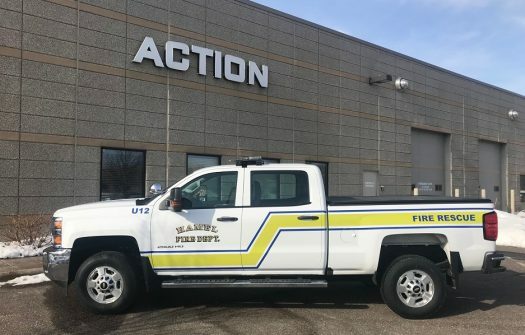 Just completed, a 2018 Chevy 2500 HD for the Hamel Fire Department. 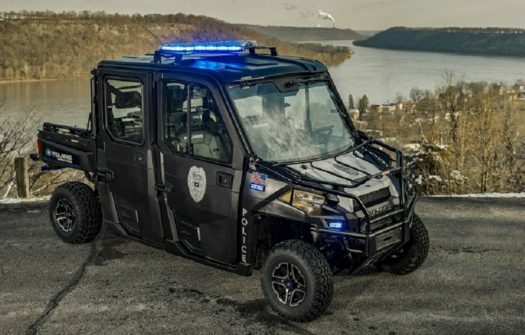 Features a Federal Signal Valor light bar and Platinum controller.